Take some pride in your hard work and enter the Defystain.com Deck Restoration Contest 2017! *Disclaimer: All products must be purchased from DefyStain.com. 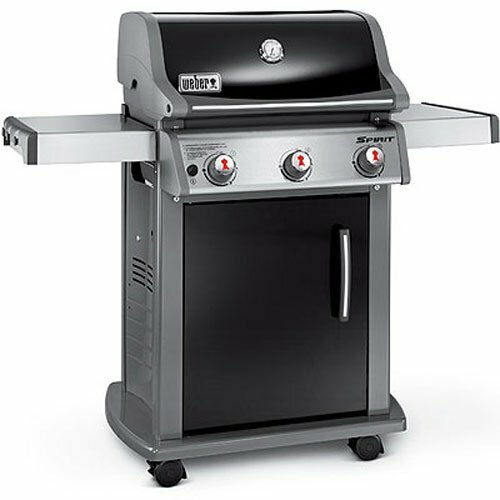 The contest is not open to products purchased from other online dealers or from physical stores. Oil based stains have been around for many years but their formulas have not changed much in that time. Water based deck stains such as the Defy Extreme, have made great leaps in wood preservation and protection. One reason water based stains are one of the best types of stain for staining a wood deck is because they are less prone to mold and mildew growth than oil based stains. A water based stain containing the natural mildewcide zinc will fight off mold and mildew whereas oil based stains can actually encourage fungal growth. Another reason water based stain is best for staining a wood deck is simply that it is environmentally friendly. Oil based stains contain high VOC percentages and are banned from some states. An eco-friendly water based stain like Defy also uses nano-technology, which increases the durability and weather resistance to be more like, if not better than oil based stain. This technology has been proven to improve stain performance by 200-600%. Most oil based stains are the same old formula they have always been and are not VOC compliant in some states. Oil based stains have been around the longest but their formulas have not changed much. Many of them are still not VOC compliant in certain states. The bottom line is they are not eco-friendly even though they do provide a fairly adequate amount of protection. To come up with an eco-friendly water based stain that could compare to an oil based stain, Defy went to the drawing board. What they came out with not only performs well against the oil formulas, but it outperforms 4 of the best selling national brands of water based stains. To prove why Defy Extreme is better than other water based decking stains you have to look at the latest stain technology. Defy utilizes what they call “nano-technology”. In combination with their existing technology, this newly developed nano-technology has been found to drastically increase the toughness and weather resistance of their synthetic resin based deck stain called Defy Extreme. This technology acts like a sunscreen and reflects the harsh UV rays that are responsible for greying and fading wood decking. Defy Extreme’s technology also helps prevent unwanted water and moisture in addition to resisting fungal growth. The nano particles and high-grade resins of Defy Extreme provide protection from the sun like no other tinted wood finish ever has. This is a complete breakthrough in the stain industry. This light stabilizing innovation improves stain performance 200-600% by Defy’s calculations. No other water based stain on the market performs this well. 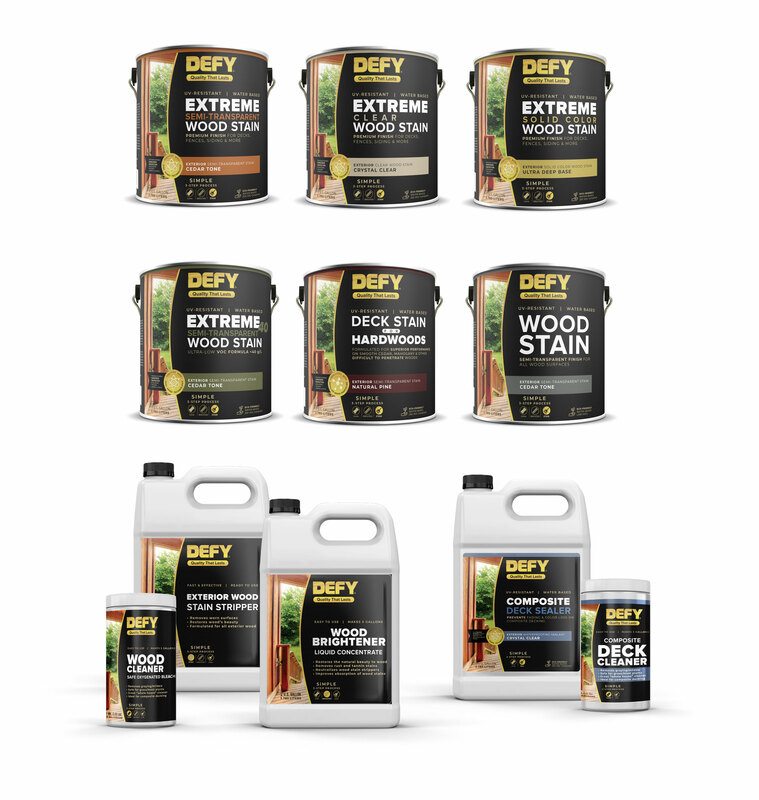 Defy Extreme can be used on both interior or exterior smooth hardwood surfaces from wood furniture and siding to decking and other hardwood surfaces. Cleanup is a breeze with soap and water due to the eco-friendly formula. The Defy Extreme high-grade resins are different than any other Water Based Deck stains. Utilizing a completely different resin type, the Defy Extreme has the penetration ability of an oil based stain. No filming on top of the surface and peeling. Choosing a deck stain for an exterior wood project can be a daunting task. There is a lot of information out there on many types of wood stains. Some of the best stains for wood projects will be those that enhance the beauty of the wood while providing long lasting protection against natural elements like moisture, sun, and freeze/thaw damage. Another factor to consider when determining the best stain for a wood surface would be how long the stain might last. One of the best protecting and longest lasting stains is the Defy Extreme line of wood stains. With that said there are many different situations that will determine how long a stain will last. From climate and weather to sun exposure and foot traffic there are many reasons a stain will eventually fade and wear away before needing a recoat. Every situation is unique. To help fight these natural and manmade elements and to help the stain last longer, Defy Stains are specially formulated to dive deep into the wood fibers to help restore natural oils and preserve the natural look of wood types from pine and cedar to mahogany and redwood. Read more: How Long Does Defy Extreme Stain Last? For many years oil based stains have been used for wood protection. Homeowners and professionals alike have always relied on oil based stains for many exterior wood surface projects. Typically, oil based stains are formulated to penetrate the wood surface locking out unwanted moisture. Oil based stains come in a variety of tints and opacity options. The amount of pigment added to the stain will determine the opacity of the coating. The good about oil based stains is that they do provide good protection from water damage and wood-fading UV rays. They are fairly easy to maintain. Oil based stains will simply fade away with time and can be easily stripped off using a stain stripper. Some oil based stains even help rejuvenate older dried out wood by replenishing the wood’s lost natural oils. As mentioned, oil based stains come in a wide range of tints and colors. They are user friendly and basically easy to apply. In addition, some oil based stains can help enhance the natural beauty of the wood. Sealing stamped, acid stained, and other decorative concrete or masonry surfaces can provide an attractive, gloss-like finish. In addition, the right sealer creates a washable and easier to maintain surface. Any surface such as concrete patios, driveways, sidewalks, porches, and garage floors can be sealed to create a maintainable dustproof surface. Sealing these types of surfaces will also prolong the surfaces natural beauty by protecting against unwanted color fading. Masonry Saver Concrete Sealer is a user-friendly formula that creates a durable yet attractive finish. The non-yellowing formula will not haze or leave a cloudy appearance like other inferior concrete and masonry sealers. Masonry Saver Concrete Sealer leaves a glossy wet look finish that can be applied on top of any old water or oil-based coating with no issues. This water-based acrylic blend sealer is compliant in all 50 states. To find this one of a kind decorative concrete sealer simply do a search for “masonry saver concrete sealers near me” and you will see that this product is available for purchase online and can be shipped directly to your doorstep. 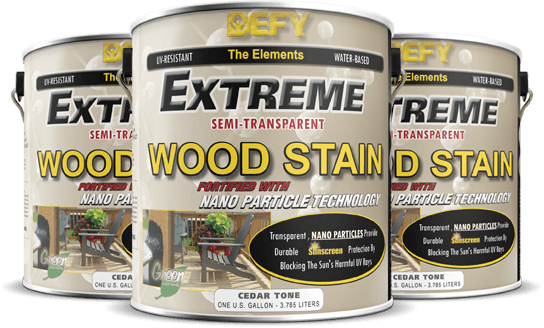 Why use Defy Extreme Water Based Deck Stains? 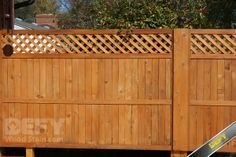 Protecting a wood deck from the elements is a necessity in prolonging the life of the wood. An unprotected deck will deteriorate quickly from harsh UV rays and unwanted moisture. To protect and preserve a deck it’s important to maintain it with some type of protective coating. These coatings can vary greatly and may be confusing to some. Wood preservatives can range from deck sealer and deck stain to water based and oil based. So what’s the difference? Deck sealers usually refer to the coatings that are clear or transparent with no added tint or color. These can be oil or water based. Although they provide adequate moisture protection, they do not protect against harsh UV rays because they are lacking pigment. Deck stains are the tinted, toned, or colored stains. They can be either water or oil based in nature. They can also range from solid to semi-transparent. Unlike clear sealers, deck stains will provide UV protection as well as protection from water damage. The more pigment in the deck stain the more UV protection it will provide. Deck stains are available in a wide variety of colors. Read more: Deck Sealer, Deck Stain, Water Based, Oil Based – What’s the Difference?